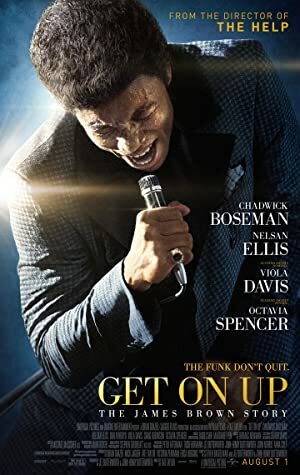 Get on Up (2014) – What's New on Netflix Canada Today! On route to the stage, singer James Brown recalls a life with a turbulent childhood where music was his only constructive release for his passions. A chance demonstration of that in prison led to a new friend who helped get him out and into a musical career. With his fire and creative daring, Brown became a star who defiantly created new possibilities in show business both on and behind the stage in face of racism and conventional thinking. Along the way, James would also become a peacemaker who redefined and raised the African-American community’s feeling of self-worth when it was needed most. However, those same domineering passions would lead James Brown alienating everyone around him as his appetites became ever more self-destructive. Only after he hit rock bottom with a serious mistake does Brown realize what he needs to do make his life as the Godfather of Soul truly worthwhile.